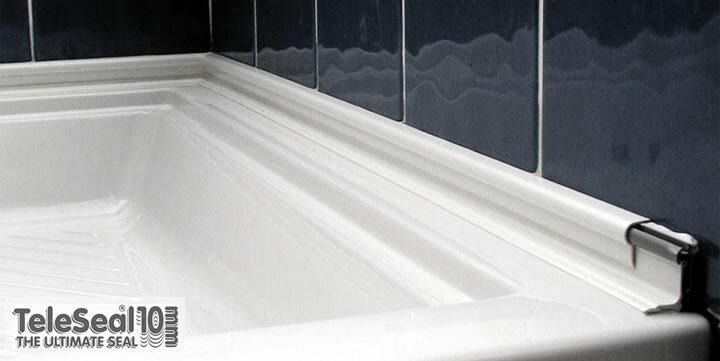 RockitSeal and TeleSeal, the original and award winning products that replace the bead of silicone sealant around baths and shower trays are available to buy right here. Our fresh design principles, coupled with modern manufacturing techniques and carefully selected materials mean we are able to deliver mass-manufactured, robust, water-tight seals that have universal fit and an indefinite life span. RockitSeal and TeleSeal – the no-maintenance "fit and forget" bath/shower seals. For the latest in slim line design, mould/mildew protection and leak proofing around your bath or shower, choose RockitSeal - our 2nd generation seal. For the original classic design choose TeleSeal. Both are easy to install and use our unique seal technology, designed and engineered to seal for life. You can now purchase the ONLY award winning bath seals from McComb Developments online. We pride ourselves on providing superior products direct to your door from us the manufacturer, reducing costs without compromising quality and enabling you to achieve quality results with peace of mind. Our seals have been supplied and installed in more than 20 countries around the world in hotels, boats, kitchens, saunas, shower rooms and bathrooms. If you have a trade or export enquiry please contact us here.